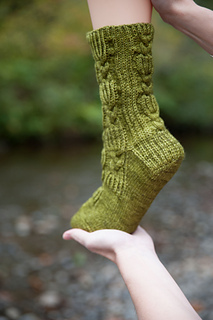 This sock is going to be the Hazel Knuts Nov/Dec 2013 Mystery Sock KAL from Stick Chick Knits. 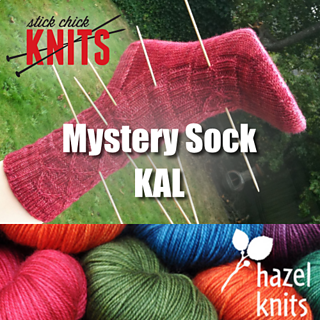 All the KAL info can be found here, join us! Oct 22nd - the introduction file is posted. 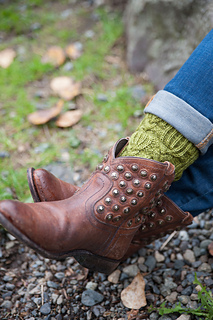 Nov 1st - Clue 1, the cuff, is posted. Nov 8th - Clue 2, the leg, is posted. 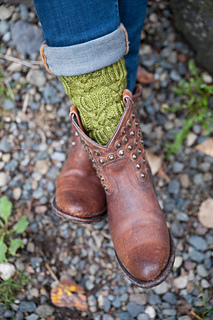 Nov 14th - Clue 3, the heel flap and gusset, is posted. Nov 22nd - Clue 4, the foot, is posted. Nov 27th - Clue 5, the toe, is posted.